All that I experience and see becomes part of my work. How I respond physically, spiritually and intellectually to my environment embodies the spirit of my work. 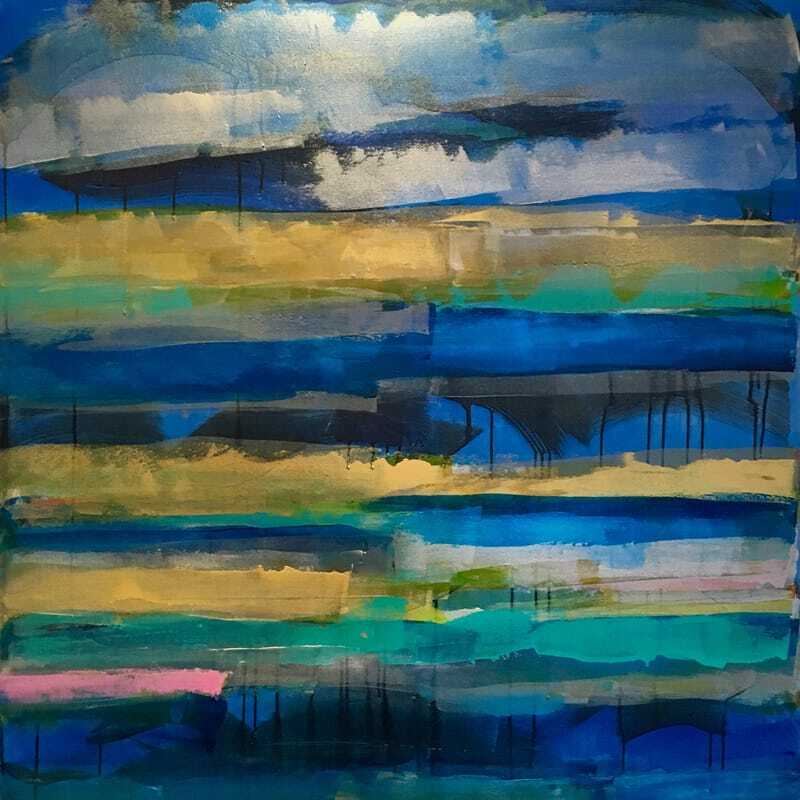 Debra Van Tuinen's paintings possess radiance. They bask in the reflected light of a physical universe beyond the picture plane. This experiential, visionary world is the realm of painterly romanticism, as seen in the same non-linear sorts of compositions envisioned by Turner two centuries ago, and Monet a hundred years later. Influenced by landscapes, ledges appear stacked among images of water and clouds, in a moving palette of luminous colors. She never tips entirely away from the realm of the representational in the manner of, say, Donald Judd’s boxes or Frank Stella’s early series. At heart, she is still very much a romantic whose work has benefited from some of the rigors of Minimalism but looks back to earlier periods in art history. Pink Horizon, Acrylic/Sumi, 48" x 48"
Tumble, Acrylic/Oil on Canvas, 60" x 40"